We're here with brand new Monday inspiration by Irina whose scrapbooking style I've admired for a long time. Hello! Irina Honcharyk here with my new project! As my base I used one of Finnabair's resist canvas. It`s so amazing! You can do anything with it - it's very versatile and can be used in countless ways. You must have seen it many times, usually torn into bits and pieces serving as embellishments. I took the whole square and treated it as my base. I prepared a video tutorial so you will see step by step how I created this layout. 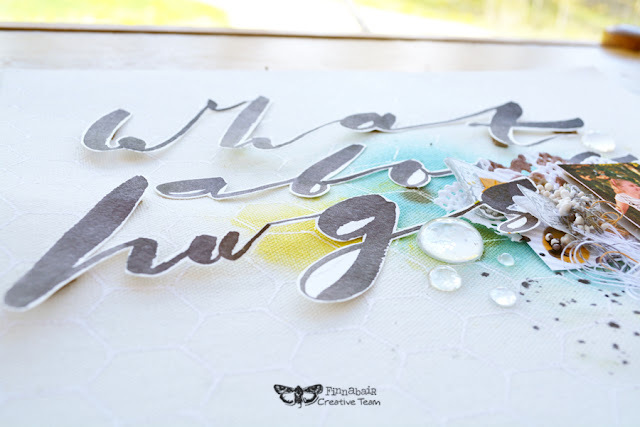 Every word I calligraphed was cut out separately and glued on the layout using little pieces of cardboard to create some interesting depth. I also thought Art Stones and Pebbles would be an interesting touch here. I also used the lovely Finnabair stamps and added many layers under my photo. I hope you feel inspired to play along! Feel free to leave any questions in the comments, I'll be happy to answer. Loooove it!!! Your style is amazing! 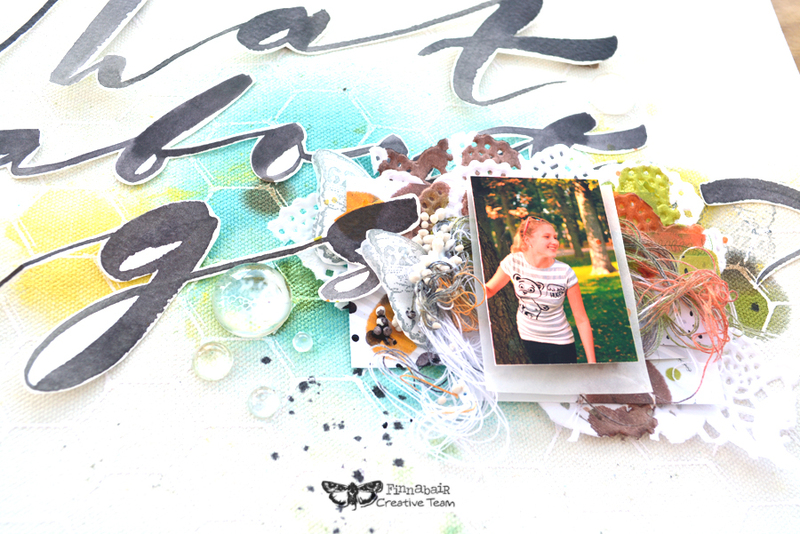 Let's Celebrate International Scrapbooking Day!